Got a windows phone? Love to play games and cracking the high score. Well, you can get several free games for your windows phone for free from the windows phone market place but that games will not give you a socialize game play experience. That means playing a game on your own without opponents. But the Xbox games for windows phone can give you a competitive experience. You’ll compete with thousands of player in an Xbox game that is so exciting. But if you look at the windows phone market for downloading a Xbox game for your phone, you have to pay for almost every game. Everybody hates this part “paying” for the game. Well but not to worry there are still some very best games which are totally free to run in your phone. Below, I have picked the top 5 free addictive, must have games for windows phone. You can compete with thousands of other game players in real time in this game bragging out your achievements and best scores. Wordament is a live word building game. This is one of the most played Xbox Live game by Windows phone users. You have to swipe through tiles of characters to make words and gain points. You can check your status continuously after playing a tournament with thousands of people online. You can score high points and pose a high rank if you can swipe more useful words from the time within a given time interval. After finishing a tournament you can view your rank and score in real time. You can also see who are the top scorers of the day and also who are the all time best scorers and rocking the game. You can either login with your Xbox account or with your Facebook account to the game to play. You can share your achievement with friends in Facebook and Twitter. Alphajax is another award winning must have word construction game for windows devices. This is a interesting and fun word building game, all you need is a strong world building skill and internet to jump and play this game. You can compete with your friends and strangers in this game. In this game you’ll receive a set of alphabets, by using them you need to construct a word and pass it to your opponent. Your opponent will receive the word you made and a set of alphabets. He/she needs to make another word with the word you set and an alphabet set. This process will continue unless one player quits. The one who quits will lose the game. There are two match modes, one is “skill match” and another is “random game.” You can play by inviting a certain player or play random match with random game mode. Your opponent may not defend your move instantly but when they do the game will notify you. You can unlock new achievements if you play well in this game. The game has a statistics option which will show your playing history, your best move, number of game lost and number of game own. The leader board will show your standing among the players (your rank, rating and score). You can share your scores and achievement in Facebook too. Shuffle Party is a fun shuffle board bowling game. Swipe the striker and strike down all the pins. Well, I think everybody knows about the game bowling and how to play it. The only difference here you are using a striker not a bowling ball. The game comes with amazing 3D graphics and smooth playing interface. This is not the same boring bowling game. You have to go through a series of puzzles in different levels in exciting challenge mode. Earn virtual cash by doing best in the game and purchase new sets of pins, pucks and game tables. Check out your game achievements, scores and ranking in the game by the real time leader board and achievement options in the game. This is a really exciting and fun game so grab it now and challenge your opponent and win them over and place your name at the top of the leader board. 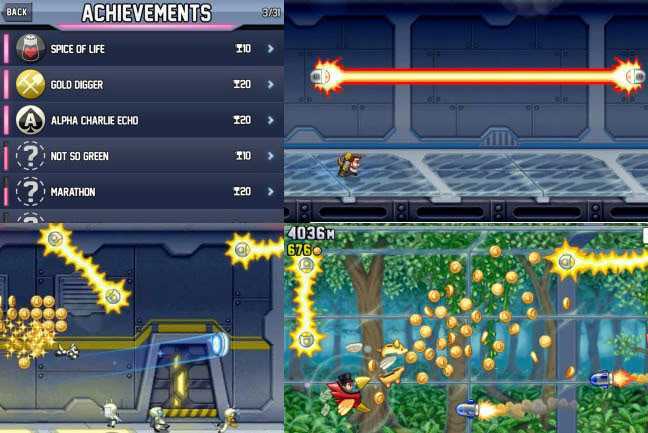 Jetpack Joyride is an adventure game, where you have to help our brave agent Barry Steakfries to fly through so many obstacles like rain bullets, bubble bullets and lager attacks. Swipe the agent upward and downward to save him from all those attacks and collect coins, powers and new vehicles along the way. The long distance you fly the more will be the score and the more higher you’ll stand in the leader board. The add-ons in the game are you can upgrade your powers, grab your robot buddy to fly with you, dress up the agent with different type of funky clothes. There is always a new adventure in every level and you can discovers so many new thing as you progress playing the game. This is one of the most adventures and free exciting game from Xbox Live. Breeze is a strategic windows phone game. This game is very challenging and amazing at the same time. You have to help the floating flowers to float without any harm and safely reach to the destination. There are two gaming mode in this game, one is touch mode and another one is tilt mode. In touch mode you have to tap the phone screen and avail air to the flower to float in right direction without colliding with the obstacles and reach to the destination. In the other hand in tilt mode in place of tapping the screen you need to tilt your phone in different directions to save the flower from danger and help it reach the destination. Sometimes you need to collect energy balls to unlock the destinations. There are 60 different adventurous levels to play with the relaxing back ground soundtrack. This game also comes with Xbox Live score feature. So score high and top the leader board. According to demographics this game is popular in almost every age groups. So why don’t you give it a try? So, if you are missing these amazing free Xbox games in your windows phone then grab them right now and make your gaming experience more lively and competitive.